Raring to go for 2018! A group of girls getting ready for action. The time is upon us, Spring is around the corner and people are booking adventures thick and fast. Fear not, if you haven’t been in touch yet we have increased our daily maximum numbers for stag and hen activities in 2018, as well as more guides, kit, activities and buses. We have one of the largest capacities in the North East and will always do our best to get you and your team out to enjoy our adventures. Our Most Popular Stag and Hen Adventures? By far the winner on this front is our combination of Gorge Walking and White Water Tubing in a single day. 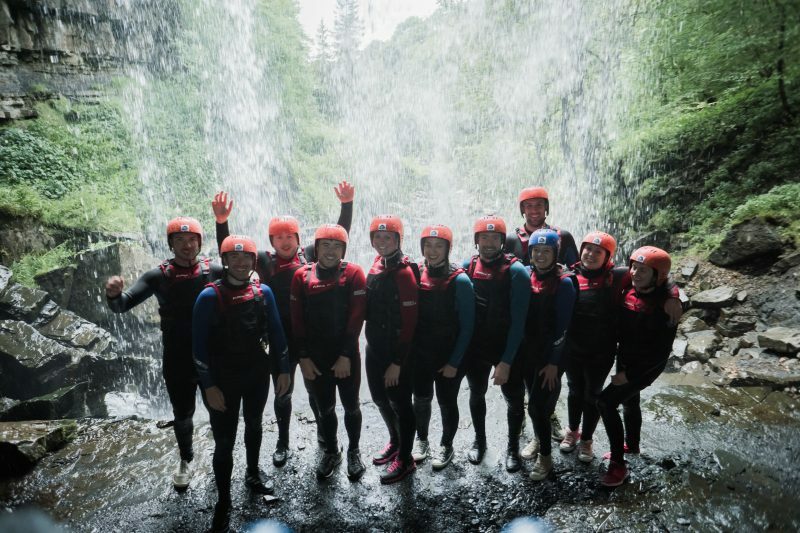 We pick you up in the morning head out and complete the gorge walk involving, jumping into beautiful pools, sliding and scrambling up and down waterfalls. Hop back on the bus and we are swiftly transported to the mighty River Tees to take on White Water Tubing. A non-stop rollercoaster sliding down waterfalls in a large rubber ring! All guided by experienced and qualified river guides who will make sure you and the team have the time of your lives. 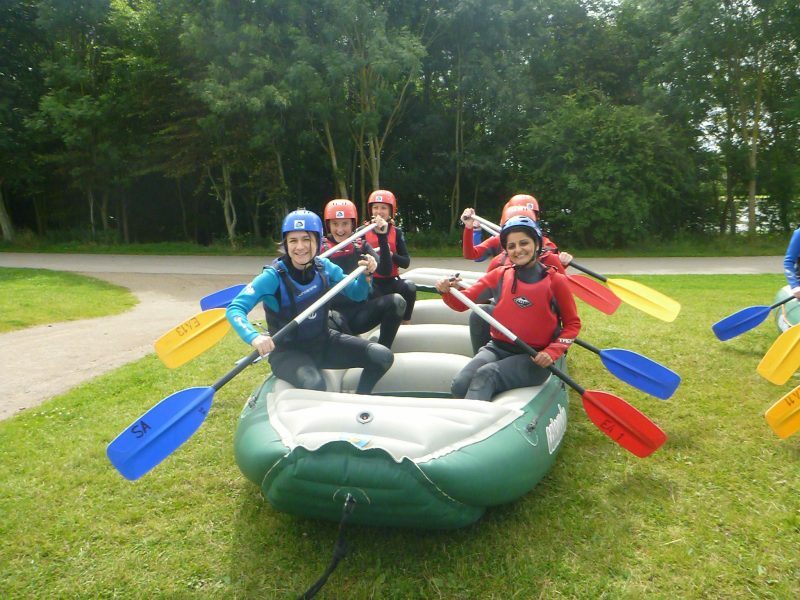 The gorge and tube activities can be done individually too and can we cater for everyone from full-on adrenaline junkies to the more timid adventurer. We pride ourselves on being able to cater for everyone and our guides tailor adventures so that everyone has the time they deserve. Check out our page for gorge walking here and white water tubing here, the videos snippets are worth a look. A group of stags loving life after an epic trip in the gorge. -You can adjust numbers on the trip up and down until closer to the booking date. -Deposit system so that you have time to gather funds from all the people taking part. -All of our trips include transport too which makes our trips more convenient and excellent value for money. -Thousands of satisfied customers, check out our TripAdvisor page here. -Our teams passion and drive to make everyone’s time with us one that they won’t forget. Please get in touch if you would like to know more, our contact us page is here and you can reach us by phone, email, post, Twitter, Linked in or facebook instant message.